Have you noticed an increase in the use of the phrase “user experience?” This term first entered my vocabulary when I was on a project at a Mobile App development lab and it was used to describe the interaction between the person using the Mobile App and the Mobile App. 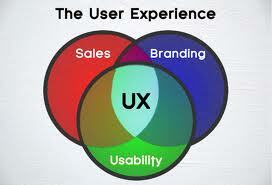 Now I see the phrase “user experience” creeping into many more conversations and situations. When I go to McDonalds and receive poor customer service, I call it a poor user experience. If I’m at a retail store and have to wait too long, it’s a poor user experience. When I’m on a website or mobile app and it’s difficult to navigate and find the information I’m looking for, it’s a poor user experience. Let’s look at a few examples. I recently visited a McDonalds about 9:30 at night and there was only one car in front of me in the drive through. Yet, it took 15 minutes for McDonalds to service that car and allow me to pull up to the order window. 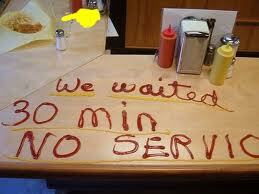 I used to call this “poor customer service” now I think of it as a poor user experience. I will remember that experience the next time I’m in search of fast food in the vicinity of that particular McDonalds’ and choose a different option in hopes of a better user experience. 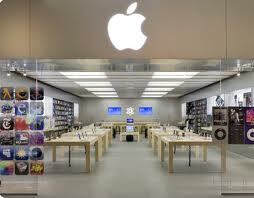 “Click & Mortar” on line stores was said to create a better customer experience, like Apple Stores provide. Apple creates the highest dollar per square foot ratio out of any other retail chain ($5626). 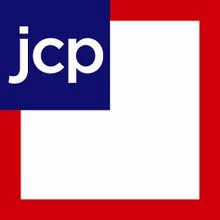 They do this by creating an impressive user experience in the store. Where else can you meet with a Genius then their Genius Bar? Just look at all of the devices and accessories you can touch and sample in the store. The Apple associates are there to help, not to sell, meaning they do not earn a commission on selling. At the retail conference, other retailers were encouraged to create a good “user experience” or lose sales to stores and websites that do. today. One of my favorite examples of a good FAQ and online support comes from the LinkedIn Help Center. The search tool is robust, there are plenty of videos and if you cannot find resolution to your issue via the Help Center, you can contact the support team for one-on-one help. 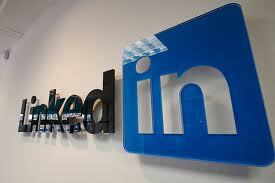 To me, this is a good “user experience.” And, the LinkedIn Mobile App is also a good user experience. So now it is your turn. Do you see and hear what I see? Is the term user experience creeping into your vocabulary? I look forward to reading your thoughts in the “comments” section below.